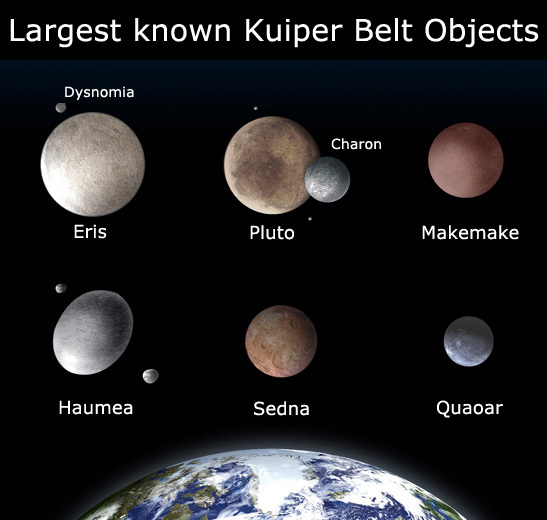 Ceres is one of the first newly classified dwarf planets and it is the smallest with a diameter of just 950 km. It is named after Ceres, the Roman goddess of the harvest and motherly love and it was first discovered by Giuseppe Piazzi in 1801. 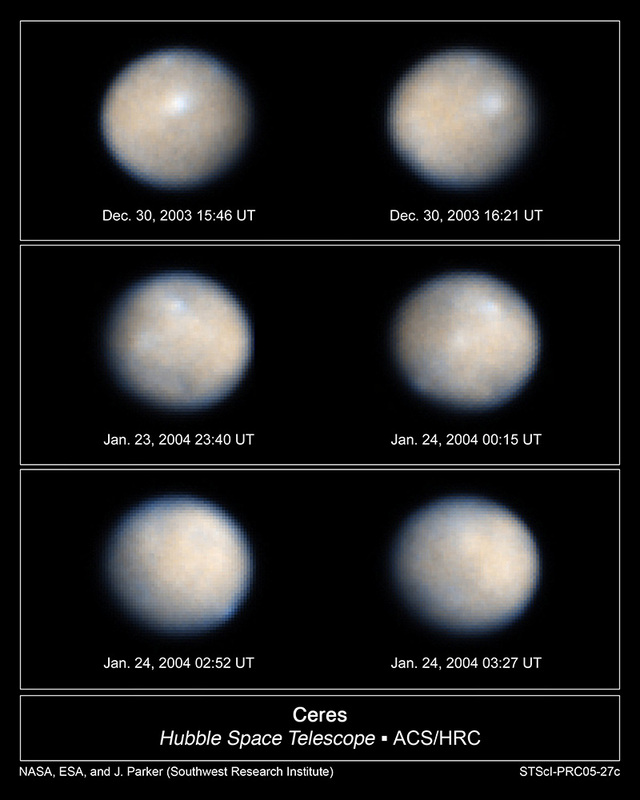 Since Ceres was first discovered in the main asteroid belt which lies between Mars and Jupiter there has been a lot of debate on how to classify Ceres. For the first 50 years since its discovery it was known as a planet and was given a planetary symbol. It was only until a number of other similar bodies were found in the same area that the planet definition was disputed and Ceres was then known as an asteroid. In 2006 when the International Astronomical Union held talks on what actually constitutes a planet, the definition of Ceres changed once again to that of dwarf planet. Ceres is the largest object that can be found in the asteroid belt between planet Mars and Jupiter and it constitutes 25% of the total mass of everything in the asteroid belt. Even so, it is still very small at 14 times smaller than the tiny Pluto. Ceres completes an orbit every 4.6 Earth years and completes a full rotation every 9 hours and 4 minutes. The mass and size of Ceres give the object an almost spherical shape. It is not usually possible to see Ceres with the naked eye unless the viewing conditions and the eyesight of the viewer are exceptional. Ceres is believed to have a rocky core with an icy mantle that is 100 km thick. Calculations show that the mantle contains 200 million cubic kilometres of water which is more fresh water than can be found on the entire planet Earth. The surface on Ceres can be relatively warm when the Sun is located directly overhead. Measurements have been taken which have shown a maximum temperature of -38 degrees Celsius. It is believed that Ceres does have an atmosphere but it is very weak. No spacecraft has ever visited Ceres, but the NASA probe Dawn Mission is due to conduct a flyby mission in 2015. Given that there is a possibility of water ice on Ceres it is feasible that there is some form of life on Ceres.